MIPCOM and MIPTV are twin events that were traditionally based on the spring and autumn TV schedules. These days, they focus on the wider “content” industries of TV, documentaries, film and brands. Spread over 20,000 m², 4,000 companies meet to deal in the world’s most diverse selection of programmes: youth, doc and factual, formats, series and TV movies, series, new media content, and more. In all, some 12,000 professionals attend each year. 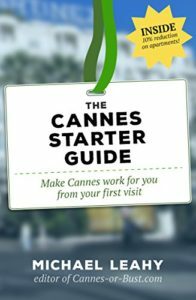 Mipcom and MipTV bring together just about every sector from the content businesses. There are ample opportunities to meet major production houses, the major broadcasters, brands, financiers and a host of TV and production service companies ranging from lawyers to subtitlers. This is where major series are pre-sold and then launched, giving a glamorous feel to the event. The conferences are probably worth the entrance price for themselves, as they feature key industry figures and professionals playing the admittedly risky game of predicting future business trends. MIP also includes two key sub-fairs, MipJunior and MipDoc, for youth TV and documentaries respectively. They are used by channels and brands looking to pick up the best new material in each sector. Through its conference and event programme, MIPTV offers the global media industry the hot entertainment trends focusing on the TV companies, personalities and emerging media players that are driving the next wave of international content across all platforms. This 2-day programme puts the spotlight on international drama co-production, commissioning and screenings. 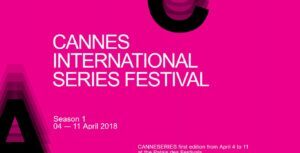 2018 saw the arrival of another major event on the weekend before MIPTV, CanneSeries – one of the major festivals and trade events devoted to TV series in general. IT featured screenings and previews from shows across Europe, the US and South America.